"Mackie Doyle is a replacement - a fairy child left in the crib of a human baby sixteen years ago, to replace the baby when it was stolen away by the fey. So though he lives in the small town of Gentry, Mackie's real home is the fey world of tunnels and black, murky water, a world of living dead girls ruled by a little tattooed princess. Now, because his fey blood gives him fatal allergies to iron, blood and consecrated ground, Mackie is slowly dying in the human world. Mackie would give anything just to be normal, to live quietly amongst humans, practice his bass guitar and spend time with his crush, Tate. 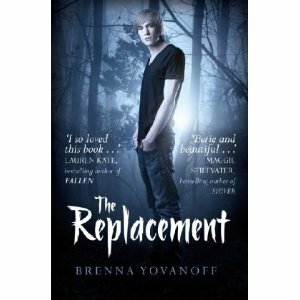 But when Tate's baby sister goes missing, Mackie is drawn irrevocably back home to the fey underworld of Gentry, known as Mayhem, where he must face down the dark creatures, rescue the child, and find his rightful place - in our world, or theirs"
This was actually the first ARC I was given during San Diego Comic Con. I'd just seen blogs written about it days earlier, so it was fresh in my mind. When the lady got it out of the box for me I could have danced - I was so psyched!! I'm just so sorry it has taken me so long to read it, but I got there & boy did I enjoy it!! As always I start with my thoughts on the cover. 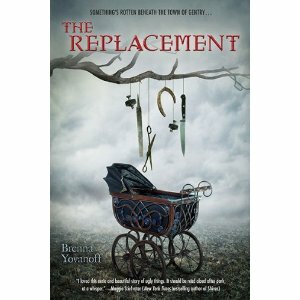 As I had a US ARC I have the amazing cover with the pram & scary ironworks dangling over it. This has to be one of the creepiest covers ever & I LOVE IT!!! 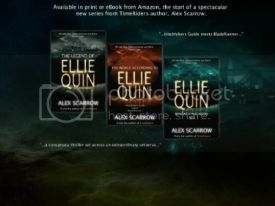 Its so atmospheric & gives such a good indicator of the theme of the book. That said I do really like the UK cover too. I mean what girl doesn't like looking at a cute guy??? And he is kind of how you imagine the lead character to be, so great choosing on the model. When I read on the blurb this was very Tim Burton'esqe I was again really excited, as I love Tim Burton's work. I have to say I totally agree with that. This is very quirky, unusual, off balancing & in places very dark. For me it was a great change to the usual YA books I read. This was also very different in that it has a male Narrative. That hardly ever happens in the books I tend to read & again it was a really nice refreshing change. I would definitely like to read more from a boys point of view. A small thing I really loved about the book, was that it had chapter titles. Again this doesn't happen all that often in YA books & for me I found it great. It gives you a sneaky idea of what the upcoming chapter has in store. I love it! The book does plod a little at times, it has growing intrigue which is both exciting and frustrating. You do get the feeling you want to shout 'WHATS GOING ON???' But in this case that is how the characters are feeling too, so it really does put you on an even par. I found the story in some ways relate able - I know that sounds strange (as far as I'm aware there isn't a sinister underground where I am living) but in the fact of nearly everyone I know is trying to find their place in the world & where they fit in. I think this would especially ring home to teenage readers & maybe even give some answers, as towards the end of the story some of these questions are worked out by Mackie. Glad you liked the review. Its such an unusual read, but cool right?? I can't wait to start this, it's on my bookshelf waiting. It looks so awesome =] Great review! It is such a good read - hope you enjoy it! !